Ferdinand continued to participate in the War of the Austrian Succession (1740–1748). The peace treaty in 1748 granted the duchies of Parma, Piacenza, and Guastalla to his half-brother Philip. Those grants were ratified by the Treaty of Aranjuez (1752). In 1750 Madrid bought back the concessions granted by the Peace of Utrecht (1713) for England to supply slaves (the asiento ) and send a limited amount of trade goods (the navío de permiso ) to Spanish America. That same year the Treaty of Limits settled most of the boundary disputes between Spain and Portugal in South America. Spain shifted to a foreign policy of pacifism and neutrality, even after the eruption of the Seven Years’ War in 1756. In cultural affairs: foundation of the Royal College of Surgeons in Cádiz, the creation of the Academy of Fine Arts of San Fernando. In the economy: support for the royal tobacco factory in Seville and the royal textile factory in Brihuega, foundation of companies devoted to commerce and manufacture. In matters of finance, a series of beneficial measures were adopted during his reign (direct administration of provincial taxes and the 1749 creation of the Royal Currency Exchange to limit dependence on foreign bankers). In religious matters, the regalian tendency of the Concordat of 1737 was reinforced with the signing of the Concordat of 1753. 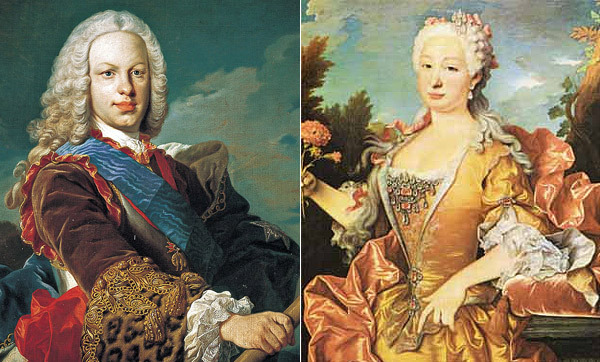 The death of the queen (1758) plunged the king into a deep depression, which degenerated into madness until his death in Villaviciosa de Odón in 1759. 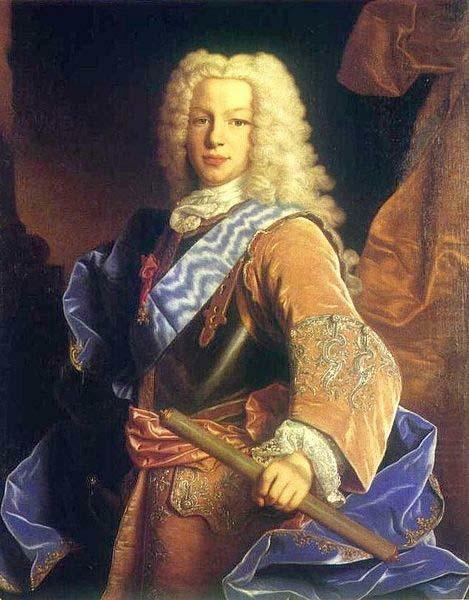 Charles III was duke of Parma and king of Naples (before becoming king of Spain (1759–1788). Foreign policy was the greatest priority of his government because Spain was a world colonial power. Alliances with France, however, brought wars with Great Britain, and Spain lost territories (including Florida) and imperial strength during Charles’s reign. But the support to American rebels gave Spain control of Louisiana. Charles III appointed efficient ministers whose missions were to reinforce the crown, improve Madrid initiated riots in 1766. To restore internal stability and peace, Charles III dismissed his Italian ministers, expelled the Jesuits from Spain and the colonies (1767), and sought a new team of ministers among them Pedro Rodríguez Campomanes the Count of Floridablanca (1728–1808), and José de Gálvez. The subordination of the church to the Bourbon monarchy was a major goal of Charles III. Consequently, he required royal authorization for the introduction of papal documents, expelled the Jesuits and reduced the power of the Inquisition. Economic reforms were less successful than administrative and religious reforms. The reduction of institutional obstacles to free trade in grain in the peninsula and to free trade between cities of the Spanish Empire (1765–1778) did little to change structural limits to sustained economic growth. Hunger, bad crops, and privileged ownership and distribution of land remained the norm in rural Spain. The owners of the land were the nobility, the clergy, the municipal councils, and the crown so this fact was an obstacle to increased agricultural productivity. Charles III and his ministers reinforced the power of the crown and rationalized colonial administration as no other ruler had before in Spain. However, they did not change the traditional social order.